Say hello to the most affordable phone with an under-display fingerprint scanner. 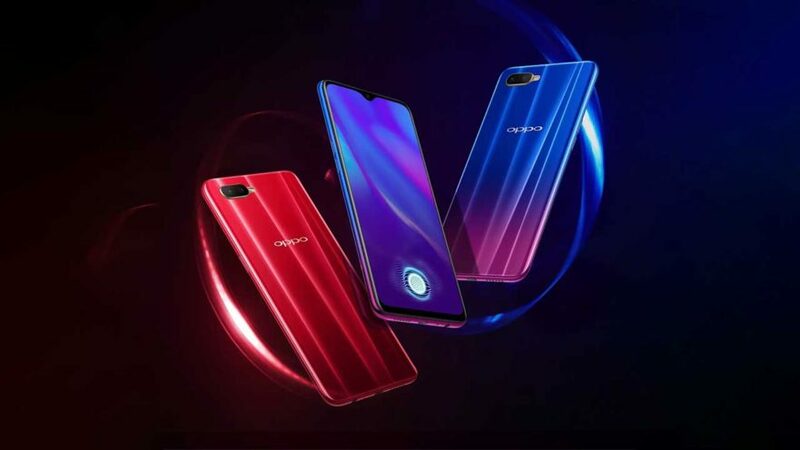 The OPPO K1, as earlier reported, is now official, confirming many of the rumors and speculation that circulated prior to its unveiling. Before the announcement, it was claimed that OPPO’s first entry in the K series will arrive with the lowest price tag of any smartphone equipped with an in-screen fingerprint reader. Which is true, it turns out: The base OPPO K1 with 4GB RAM and 64GB of expandable storage is priced at ¥1,599 (around P12,508 or $231), while the version with 6GB RAM will run you ¥1,799 (P14,073 or $260) in China. And we thought the P19,999 ($369) Vivo V11 with an under-display sensor was already aggressively priced. The K1, available in gradient blue-purple (Van Gogh Blue) and red (Mocha Red) colors, will go on sale from October 19. OPPO has yet to announce plans for the phone outside of China, but it’s likely it will get an international release soon, specifically in markets like the Philippines and India, where OPPO enjoys a huge-enough following. OPPO Philippines will host a media gathering in China later this month. Perhaps we’ll see the OPPO K1 there and gather more details about a possible launch in the Philippines? Cross those fingers. Design-wise, the K1 shares many similarities with the OPPO F9 and R17. The front of the device sports OPPO’s newer waterdrop design, with a small notch at the top of the screen. It measures 6.4 inches diagonally and uses OLED as opposed to LCD. The back of the phone pairs a 16-megapixel camera with a 2-megapixel one for portrait-style shots with background blur. Powering the OPPO K1 is Qualcomm’s midrange Snapdragon 660 processor. It runs Android 8.1 Oreo based on Color OS 5.2.